Rep. Jones came into Congress after narrowly winning his first election in 1994. With his victory, Rep. Jones became the first Republican to represent Eastern North Carolina since Reconstruction. Prior to joining Congress, Jones served four years in the North Carolina National Guard, and was an executive at his family’s business supply company. During his time in Congress, Rep. Jones has been a defender of civil liberties and limited government. He routinely cosponsors legislation to cut spending, and balance the budget, and is one of the few legislators in Congress who proudly labels himself as a deficit hawk. Most recently, he co-sponsored the “Penny Plan,” a proposal that would cut federal spending by one percent each year for five years, at which point the budget would be balanced. In November 2017, Rep. Jones’ bill, H.Res. 564 was named FreedomWorks’ bill of the month. The resolution affirmed Congress’ power over the debt ceiling and reiterated the damage that would be caused by continuing to raise it and neglect this responsibility. Rep. Jones has consistently been one of the few members of Congress willing to take the issue of our national debt seriously. Rep. Jones has also led the charge to bring the executive branch in line with the Constitution when it comes to issues of war and peace. Together with Rep. Tulsi Gabbard (D-Hawaii), he introduced the No More Presidential Wars Resolution, H.Res. 922. This resolution reasserts the Article I power of the legislative branch to declare war, and bars the executive branch from unilaterally initiating costly wars with little strategic value. Rep. Jones has also been willing to take on his own party if it means limiting the size of government. Rep. Jones is one of only a handful of Republicans who, during the Bush administration, voted against both the No Child Left Behind Act and the Medicare Prescription Drug, Improvement, and Modernization Act. The former was an unprecedented expansion of federal involvement in education, and the latter created Medicare Part D, a costly program costing the American taxpayers to this day. Such willingness to speak truth to both sides of the aisle incurred the wrath of the establishment on Rep. Jones. Along with Reps. Justin Amash (R-Mich.), Tim Huelskamp (R-Kansas), and David Schweikert (R-Ariz.), Rep. Jones lost key committee assignments for not falling in line with party leadership. He was later criticized for “not wanting to work within the system.” When such a system is terribly broken, working outside of it is a ringing endorsement of one’s leadership. Rep. Jones passed that test time and time again. Rep. Jones is a four-time FreedomFighter Award winner. This award is given by FreedomWorks to members who consistently vote to uphold free markets and individual liberty. For all new members of Congress seeking to assert their independence and to govern with principles before party loyalty, there are few greater role models than Rep. Jones. It has been an honor for FreedomWorks to have been able to fight alongside him in the effort to shrink government and cut spending. 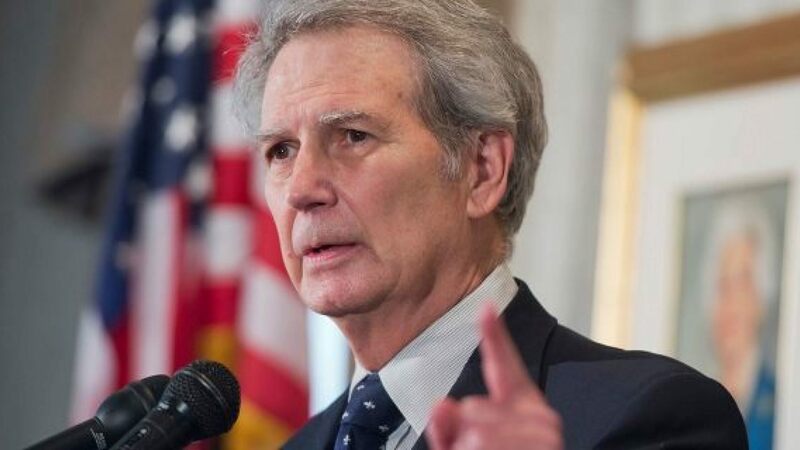 This is why FreedomWorks is proud to name Rep. Walter Jones as our member of the month for February 2019. On behalf of our activist community, we urge you to support Rep. David Schweikert to serve as the next chairman of the House Republican Policy Committee. We are thrilled that Rep. Schweikert is running for this post. One thing that's clear after the midterm election is that House Republicans need a fresh approach to policy, one that's outside the box and promotes innovation and technology. This has been Rep. Schweikert's approach to public policy while he has served in the House.